(Vienna) He was named in 2009 but an unprecedented smear campaign prevented Bishop Gerhard Maria Wagner of the Diocese of Linz. He has today presented and talked plaintext his new book. 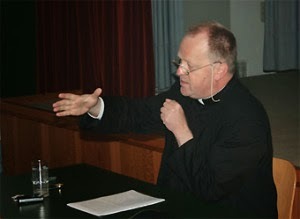 2009, the Upper Austrian priest Wagner had become a victim of bishop-bashing, which is a popular smear game in trend-setting circles. Now, he said the church in Austria is not only in a precarious condition, but is a "pig stye" in which it "stinks". The list of victims of the bishop-bashing is already considerable. It ranges from Bavaria with Bishop Walter Mixa of Augsburg to Hesse with Bishop Franz-Peter Tebartz van Elst of Limburg and Grisons with Bishop Wolfgang Haas from Chur to Lower Austria with Bishop Kurt Krenn of St. Pölten. The blocking of Rev. 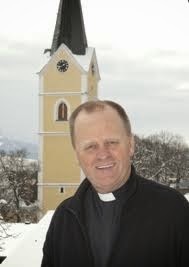 Gerhard Maria Wagner 2009 as auxiliary bishop of Linz is a special variant of the smear game. Wagner was then not allowed to take office. The persecution is only possible because authoritative church circles are interested in the jettisoning personal rivals because of personal or ideological reasons and have been actively involved behind the scenes. The fight against Wagner was tantamount to an exemplary execution, while the Windischgarsten priest was supposed to have only been an auxiliary bishop, i.e. auxiliary bishop of Linz. An auxiliary bishop has entrusted to him only as much decision-making power as is given him by the responsible diocesan bishop, and ig may be withdrawn from him again at any time. In the Diocese of Linz, however, there was the anxiety that the appointment of Bishop Wagner by Pope Benedict XVI. would be followed by an early position in the Episcopal succession by the same Wagner, if Diocesan Bishop Ludwig Schwarz were to complete his 75th year and become emeritus. It's not only the Social Democratic Party of Austria (SPÖ) write about Linz as "Left". The same could be said of the full-time staff apparatus of the diocese. At least the more influential part. With the subtle difference that it is not so much the SPÖ, but is more close to the Greens. There are hardly any Diocesan priestly voacations. Who would want to become a priest, would do this in the context traditional communities or seeks refuge in the still reasonably intact community of a monastery. The lay Apparatchiks and the Liberal, often effeminate clergy of Upper Austria quickly found allies in the media to begin shooting practice on a living object. In Austria it was belched loudly and Rome was already in its knees. Although Pastor Wagner was appointed over Pope's brother, Msgr. Georg Ratzinger and Pope's secretary Georg Gänswein handpicked him and with the best knowledge of the situation on the ground, the priest's career as a bishop ended after 30 days and did not get beyond the appointment status. Pope Benedict XVI. would lose face because of the weak knees of Rome, Wagner asked formally to withdraw the appointment, which the Pope "granted". On January 31, 2009 Wagner was appointed, and on 2 March 2009 Benedict XVI. granted a dispensation from the appointment. In the meantime, Pastor Wagner experienced hell on earth and the devout Catholic nation rubbed its eyes, as to how lies can produce a smear campaign. Each day new lies were unpacked. It wasn't until Wagner's "chalice" had passed over to progressive part of the Diocese, where it was presented as a trophy for hunted prey, that the whole nightmare was over. An Auxiliary Bishop Wagner would have done the Diocese of Linz, more good than ever, but his prospects to once again be considered for the episcopate by Rome are very small. Nevertheless, the retirement of the Diocesan Bishop Ludwig Schwarz is fast approaching. In this context, the media is again suddenly paying attention to the absent pastor Wagner again after years of peace. Wagner obeyed in 2009 as a faithful son of the Church. Rome wanted him as auxiliary bishop and he accepted. Rome had changed her mind again under heavy pressure and he obeyed as well. After some time of silence, Wagner, however, took stock and spoke of a "conspiracy" to which he had fallen victim. Wagner today is also the publisher and editor of a Little Penny Sheet, with a wide circulation in Austria, which has the rare virtue of wise, but clear speech. He just said what was obvious, but at that time almost no one dared speak out. New book "Heaven or Hell" - "Many People Feel Disoriented"
Wagner had raised his voice even after the appointment that it was not for him, but much more so for the Catholic Church in Austria a fiasco. The media hardly cared. But now someone feels their toes being stepped on. Today, Pastor Wagner has presented his new book, "Heaven or Hell." At the book launch, the sharp witted and eloquent priest was not sparing with plain writing and a gaze at the Archdiocese of Archbishop Cardinal Christoph Schönborn. Schönborn had supported Kasper's "mercy" last October at the Synod of Bishops in Rome and would also like to see a new "gradation" applied to all the sacraments. Wagner commented that the Archdiocese of Vienna was a "pig stye" in which there is a foul stench.The situation of the Church in Upper Austria, and born by opposites, says Wagner. He wished "all the best" to the future Bishop of Linz. For himself, says Wagner as once before, he had already credited the need to "shovel out the pigsty". After all, the position of the Church is questionable because she is not on the right track. There were many tensions and many people are disoriented. "We Basically Obey to be Catholic"
Pastor Wagner founded an initiative two years ago to strengthen the sacrament of penance in daily life. He called all the priests of the German-speaking countries that committed themselves, to sit every day for an hour to make confession available. In this context, Wagner complained today that in many parishes the Sacrament of Penance is "dead". In the liturgy there is a "momentum" that "disturbs" him. The reason for this is, among other things, an incomprehensible competition between laity and priests. There were quite a few priests who would"fear of the parish council meeting." 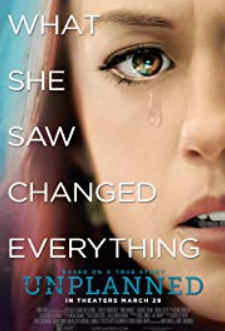 "There's something wrong," said Wagner. It's a disorientation, which is reinforced by the church or is only caused by it. Pastor Wagner quoting a priest who complained to him about his suffering, "that today we have to basically stop being Catholic." 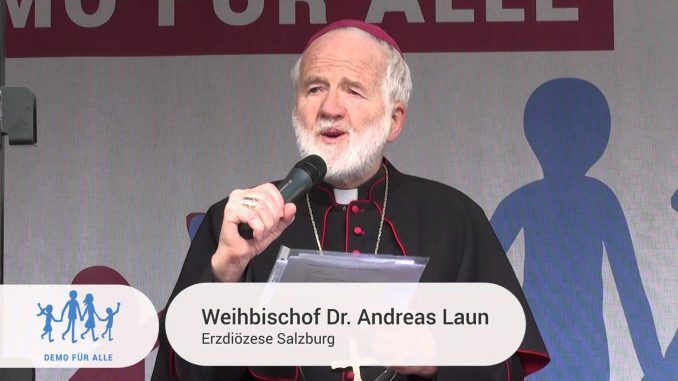 In the Diocese of Linz There is an "Oligarchic Business"
However, his opinion was not in high demand in the diocese of Linz and he accused his home diocese of operating "quite a bit of an oligarchic business". He took to his bishop's defense, because not a few bishops are simply "alone" and isolated. As the homosexual Conchita Wurst Thomas Neuwirth was imposed as a Euro Vision winner, he had put "shame on Austria," said Pastor Wagner. As for Pope Francis, Wagner says in his new book that he was pleased that the new Pope could find sympathy and confidence all over the world, but he does not notice in fact that the churches have become full, "people go to confession more and all that, praise Pope Francis, have become more religious in recent times," said Pastor Gerhard Maria Wagner, almost Auxiliary Bishop of the Diocese of Linz. The church circles referred to by Wagner responded with offense. The pastor "disqualifies" himself with these statements themselves, suggested the Vicar of Linz, Wilhelm Vieböck to the ORF: "I find it appalling that Father Wagner used the dramatic word, pigsty 'for the whole Church in Austria". Vieböck confirmed the same time, what is really going on in the background: Such an attitude does not qualify Wagner for higher church offices. In June 2015 the Diocesan Bishop Ludwig Schwarz completed his 75th year. In Linz, nobody expects an extension in office. The Diocese sent Rome sent a shortlist few days ago of three candidates for the succession. What are names on the list, is not initially known. It can only be that the name of Father Wagner certainly not there. (Linz) The situation of the Catholic Church in the German areas, its weakness in the public debate, trends toward self-dissolution and a willingness to oppose the zeitgeist of political correctness and thus succumb to powers in politics and society, is only understood by he who understands the clergy. In addition to many loyal and faithful priests and religious, there is a lot of mediocrity, and many "Liberal" priests. "hearthless priests," said Austrian Priest Gerhard Maria Wagner. And he knows what he's talking about because his home diocese of Linz is the prototype of a progressive diocese. With a doctorate in dogmatic in 2009 he had been appointed by Pope Benedict XVI. as Auxiliary Bishop of the Diocese of Linz. The "hearthless priests in our diocese have a say," said Wagner, have been understandably not thrilled and blew a storm. A campaign was organized quickly thanks to a willing media who are always there when it goes against the Catholic Church and a "conservative" church representatives. For some weeks the contrived indignation was mimed, and firmly supported by full-time officials and many laymen. It was an alliance of the status quo, which as far as possible didn't want any alterations to the liberal laissez-faire situation in the diocese, including the Governor (Chief Minister), a teacher of religion and therefore employees of the diocese, which were not generally for moderation, but felt particularly called to weighty agitating against the appointed Auxiliary Bishop of Rome. Finally, where would you go, when there is a pious priest who would also be bishop and does get serious with the faith. "The Hearthless Priests in Our Diocese Say"
The "hearthless priests" feared that an auxiliary bishop and likely future diocesan Bishop Wagner would put an end to their traffic with concubines. The campaign was successful, the Austrian cardinal in Rome intervened and made pleas for expediency in the face of an impending upheaval of the "People of the Church", Rome buckled and demanded obedience of Wagner. Wagner obeyed and offered the renunciation of an office which he had not even begun. Rome could send the request for resignation assuming generosity without losing face. The "peace" in the village was restored. What remains are the "hearthless priests, who call the shots." The 54 year old Father John Teufl, Franciscans and Parish Provisor of St. Georgen in Attergau lived together with a "friend" for several years. Whoever did something about it, to come to him and talk to him, he informs the parish for three years. This is how loosely some take their disobedience. Who wants to play the grouch. The parishioners know what is asked of them nowadays. You are of course thrilled to be "politically correct". Since Friday last week, the priest has been "submerged". With his triangular relationship, it is not surprising that the police received three missing person's reports: from the parish, the diocese of Linz and the concubine who is described in the media as a "partner" or "friend". Cardinal Giovanni Battista Re is (not) dead -- Dishonorable Role in the Case of Bishop Krenn and Msgr. Wagner? (Rome) The father of Cardinal Giovanni Battista Re, the Prefect Emeritus of the Congregation for Bishops, who had reached the age of 104 has died. Pope Benedict XVI. has extended to the Cardinal and his family his condolences. Matteo Re was the eldest of the the older members of the College of Cardinals. He first saw the light of the world in 1908 in the Italian province of Brescia. Because of his father's great age of the father, it was assumed that the Pope's consolation note was meant for the Cardinal's death, who celebrates his 79th birthday on January 30th of 2013. From 2000 to 2010, he was part of the important Dicastry for the naming of Bishops in the so-called Old World. At the Consistorium of 2001 he was raised to Cardinal by John Paul II. Til then Re was a Curial Bishop from 1989 as a substitute to the Vatican Secretary of State. His career was introduced in 1987 with his appointment as Secretary of the Bishops' Congregation. For ten years Cardinal Re had significant influence in episcopal appointments in the "old" Christian nations. At the age of 76 years on the end of the second five year time of office, he was replaced by the French Canadian Cardinal Marc Ouellet, who was much closer to Ratzinger's way of thinking. In Austria, Catholics who are true to Rome are stubbornly of the opinion that Cardinal Re played a dishonorable role in the resignation of Bishop Kurt Krenn of St. Pölten, as much as he played in the rejection of Auxiliary Bishop Gerhard Maria Wagner in Linz. In both cases it was after a smear campaign inspired by the media, that progressive parts of the Church exerted massive pressure on the persons concerned, to reduce the exercise of the episcopal offices for the sake of internal ecclesiastical peace. While part of the clergy campaigned in conjunction, the other Bishops refused solidarity to those attacked. The Italian Cardinal Gioanni Battista Re was born in the 30th of January 1934, in Borno like his father. in 1957, he received his priestly ordination in his home diocese of Brescia. There is also only one vacant place remaining, which which would be vacant in a conclave. Edit: This was the priest in Linz Diocese who was relentlessly hounded by the Liberals and set up by the Viennese Cardinal when he was named as Auxiliary for Linz. He's had the courage to criticize the Bishops in the past. It's too bad there aren't more like him. The Windischgartner Pastor Gerhard Maria Wagner is critizing the Pastors' Intiative and the Bishops: In my view sometimes money plays too big a role with the Bishops, while courage plays a lesser role, for them to say: "This is the clear teaching of the Church". Linz (kath.net) The famous Windischgarstner Pastor, Gerhard Maria Wagner, has dismissed the controversial Pastors' Initiative and stressed that it is time to declare the "Church's teaching". "In the case of remarried and divorced, for example, the Church has made clear stipulations, that it is not negotiable. That's actually also true of the other points of the Pastor's Initiative as well." As to the question if one may refuse these people Holy Communion during Mass, explained the Pastor, that it still may not be done. He would like, however, not to put anyone on the pillory. Afterward, he'd like to speak directly to the person. "The remarried and divorced person may be in the Church, but may not receive the Sacrament." As far as the theme "celibacy" is concerned, Wagner refutes the notion that it comes from the 11th Century. "We've also heard this heresy that celibacy comes from the 11th Century. There is research that show that this goes back to earlier times. The Church could alter it, however, if it wanted. But despite the various problems, which we have in the life form of celibacy, it is a guidepost. We must give witness of a priestly life, where joy is palpable." The pastor of Windischgarsten also clearly stated, that the Priesthood is not a theme to be discussed in the church any longer. "That is a dogmatically formulated fundamental dogma that priestly consecration is not possible for women. We can't do what Jesus never did. He was surrounded by women and demonstrated their importance. But at the Last Supper the basic framework was established counted only the twelve male Apostles participated, and we can't go back on that. Otherwise it is a 2000 year long tradition that only men are consecrated," he insists. Wagner appealed to the Bishops as well, that this Pastors' Initiative must be addressed with what must be said. He would like to say to Helmut Schüller that he has lost his way, that this act will not "lead to the healing of the Church". "We have already had a Reformation and know what came of that. The "Call to Disobedience" is a real scandal. We have so much good in the Church but are stuck on these same tired themes." The pastor of Windischgarsten is also criticizing the Austrian Bishops. "in my view money plays a bigger role with the Bishops and less so the courage to say: "This is the teaching of the Church. Whoever can't abide by that, must find another faith community." He believes that the Church "will probably have to become smaller", so that it can become more "basic" in order to become "big again". "We need a clear witness that we don't fear the numbers", says Wagner. For people who persist in the Pastors' Initiative, he says, this is a real "fall from faith". Is the Linz Auxiliary Bishop on the Way? Editor: considering the Vienna Cardinal's earlier attack against Pope Benedict's choice for auxiliary Bishop of the scandal Diocese of Linz, it might not be hard to see how Pope Benedict regards this situation, considering the embarrassment the Linz Bishop faces, lying to the press about the fact that Rome refuses to acknowledge any of his choices. Bishop Schwarz denied to "Standard" - a rumour - that Rome has said "No", back -- fact is: The Bishop has already proposed a large number of people to Rome. Linz (kath.net) The Linz Bishop Ludwig Schwarz has denied the "Standard" publicized rumour, that Rome supposedly has said "No" to a Linz Auxiliary Bishop. "There isn't a single word in this report that's true! Rome has not given me a refusal concerning this matter," said Schwarz to the "Linzer Kirchenzeitung" (LKZ). The Linz Bishop has made known in any case, that the new Prefect required a time of "introduction and orientation in this matter". As kath.net has learned from Roman Church circles, the Linz Bishop Ludwig Schwarz has proposed an unusually large number of candidates to Rome. Fact is, that till now none of the proposals have been accepted by Rome and this subject is explosive considering the forced resignation of Gerhard Maria Wagner. Kreuz.net, an internet periodical that reports on Austrian news continues to engage kath.net, a conservative periodical favorable to Medjugorje, for their interview with Cardinal Schönborn on his birthday. The Cardinal mentioned "ideological" conflicts about Episcopal appointments as well: "If someone has the reputation of being conservative, one can be fairly certain that there will be a media protest." It is also, however, "often the person himself" -- the Cardinal renews his attack on Father Wagner. "One can and should not avoid all conflicts, but some conflicts require firstly, that we question them. But here we must look to the individual case." As Kreuz opines here, "Perhaps it's better to anger stupid Neo-conservatives who are powerless than to anger the "Old Liberals", who possess the amassed power of the world media establishment." Kreuz mentions that there will be two Disco "Masses" this Sunday in Vienna with the theme, "chase out the gray". [Kathnet] The Priest of Windischgarstner Gerhard Maria Wagner has worked the grievances in the Diocese Linz with open reflections into the programme guide of the festival for ancient music in a Vienna Concert Hall. "Yes, in the Catholic Church the powder is burning," declared the Pastor and said, that he is not the "divider" rather that he is only at the point of conflict. "Finally, it isn't because of me, rather about an inner-Church controversy, in which I had actually become embroiled." To the apparent peace in the Diocese Wagner opined: "Problems are in plain view, solutions will be delayed (...). Actually the Church is silent and covers the body that lay in Her own cellar. And beneath a reproving hand marvels from far over our boarders over grievances in the Diocese of Linz." The pastor is critical about the growing number of pastoral assistants, "who question the teaching authority of the Church and do not earnestly accept the moral teachings of the Catholic Church" This all leads to a "latent schism" and to a "silent Church division". Many priests and lay assistants would effect "revolution against Pope and Church". Furthermore "vagus priests, like for example, a well-known university teacher, who is hardly active in ministry, have the say in the Diocese." For Wagner the pastoral assistant has become established in a "Parallelklerus", that in the final analysis "directly undermines the Priestly authority", because it is not clear, "Why anyone should still be a priest, when things really went so simply." Wagner also criticized that in many Parishes in the Diocese of Linz how the norms for the correct practice of the liturgy aren't followed.